With A.B. 744, this wasted space could be better used to build more affordable housing units. Photo by jaymantri.com, courtesy of Pexels. Governor Jerry Brown had a Sunday deadline to sign legislation or veto it. Late in the day on Friday he signed Assembly Bill 744, which allows affordable housing developers to build less parking than many local zoning regulations currently permit. The bill is a victory for affordable housing advocates, who have been saying for a number of years that the burden of building more parking than tenants use has made affordable housing too expensive to build. A.B. 744, authored by Ed Chau (D-Monterey Park), is limited to a few very specific types of housing, all meant to house population groups that tend to own few cars and drive less than the general population. Those are: housing for seniors, housing for special needs populations, and housing for low-income and very-low income people. It also applies to mixed-income developments that include a minimum number of affordable units. All categories are required to have a specified level of transit access (for details, see after the jump). Under the new law, if a developer of these types of housing asks to be allowed to build less parking than required by zoning regulations, a city has to allow it—as defined in the statute, see below—unless it can demonstrate that more parking is necessary. And A.B. 744 specifies what that “demonstration” would entail, not leaving it to a vague “parking study.” A parking study to show that a development needs more parking would have to be somewhat recent and based on “substantial evidence,” including area-wide parking availability, transit access, potential for shared parking, the effect of parking requirements on the cost of developments, and rates of car ownership among low-income, senior, and special needs individuals. The bill was opposed by the League of California Cities, which saw it as an attack on local control of zoning regulations and fought it to the end. Many of the League’s objections were answered with amendments in the process of negotiating the bill through the legislative process, but the League stuck to its argument that “the parking thresholds in this bill do not reflect realistic parking demand from such projects”–despite the fact that most current parking requirements, as Professor Donald Shoup has shown, are not backed up by meaningful data [PDF]. In addition, work done by TransForm shows that parking demand in many of these kinds of buildings is much lower than cities think it is. “This strategy,” wrote Daniel Carrigg, the League’s legislative director in its letter opposing the bill, “will clearly lead to parking spillover problems.” He worked this fear of not enough parking for all it was worth: “Working low-income residents… will be forced to spend their limited income for parking garages,” he wrote. “Seniors seeking to avoid unsafe transit may have to park long distances away…. A vehicle may be the last significant property of a homeless individual seeking special needs housing.” Does he mean to say they would prefer to live in their cars? Is there really no way to invest in transit so that it’s safe for seniors? Luckily, if cities are too frightened at the thought of all this spillover parking, they can complete parking studies, and while they’re at it they can look at the gap between what low-income people make and how much it costs to own a car or at how building parking raises the cost of rents for everyone. A.B. 744 was not the only bill addressing affordable housing in this session, but others were not so successful. Senate Bill 377 and A.B. 35 both sought to change the way state tax credits function to make it easier for affordable housing developers to get them and use them. S.B. 377 would reduced federal taxes and cost the state nothing, and A.B. 35 would have increased the amount of state tax credits for affordable housing by $100 million. However, Governor Brown vetoed both, along with a batch of other tax credit bills, saying the state’s budget was too “precariously balanced”—even though last year he passed a bill that provided more than twice as much in tax credits to the filmmaking industry. Without access to those tax credits, said Kang, “We end up leaving federal resources on the table that we can’t use.” Those resources include low interest loans and federal tax credits that require state assistance. Note that the new law does not completely eliminate all parking spaces. Reports of the death of parking minimums have been greatly exaggerated. There is nothing in AB 744 that requires the developer to take that extra money saved on parking spaces and use it to build affordable housing. Didn’t anyone think that was odd? AB 744 is an amendment to the density bonus law where a developer can promise one low income unit and get to increase density on the property by 35% above the max zoning for market rate units. The new section one of the bill declares developers should decide. more transportation choices.” In other words, smart growth pushed down your throat. Ms. Kang doesn’t mention her salary or further increases in salary with the passage of this bill. Oh, it definitely can lead to lawsuits but if I’m trying to get a project approved, I’m looking to not get in any lawsuits. Too much time and money involved so I would be more likely to just go with the local regulation. So I’d just build more parking. In regards to a “taking”, I don’t consider requiring parking as a taking. I buy properties knowing fully well that I’m supposed to provide parking. So the purchase price takes that into consideration. Considering how long parking requirements have been around, pretty much every current property owner bought their property with these parking regulations already in place. So, if anything, the current property owner would get a windfall if a parking requirement is loosened. That’s no necessarily a bad thing but preventing a current property owner from getting a windfall is hardly a taking. Plus, I’m pretty sure your argument has been tested in court and has not be upheld. So I think they are here to stay. Agree about CEQA reform, which I know less about. Wouldn’t that open them up to lawsuits? The state trumps localities. Federalism doesn’t entitle municipalities to violate the constitution. Extensive parking requirements* are a violation of the constitution – they’re regulatory takings that lack the justification of state interests – because the balance of legitimate state interests (congestion, public health, pollution, affordability vs cheap parking) run against instituting parking requirements. The only problem with this argument is that it’s novel – an informed examination of the impacts of parking requirements would confirm this point (physical occupation, non-economic use, etc). Ha. Funny that you think I’m backwards – that’s exactly how I feel about the state getting into these regulations. For me, this is a great example of federalism. I think land use regulations should be the almost exclusive domain of local entities because land use impacts are so localized. If I build an apartment building, I impact my neighbors the most, the rest of the properties on my street a bit less, and have some small impacts on the neighborhood. So local entities are in the best position to minimize these impacts. The only exceptions that I think should be made are for transportation and utility networks, which, by design, cross multiple jurisdictions. Even though affordable housing is a laudable goal, its impacts are localized so the regulations should stay local. But I think you missed my point about mishmash regulations. 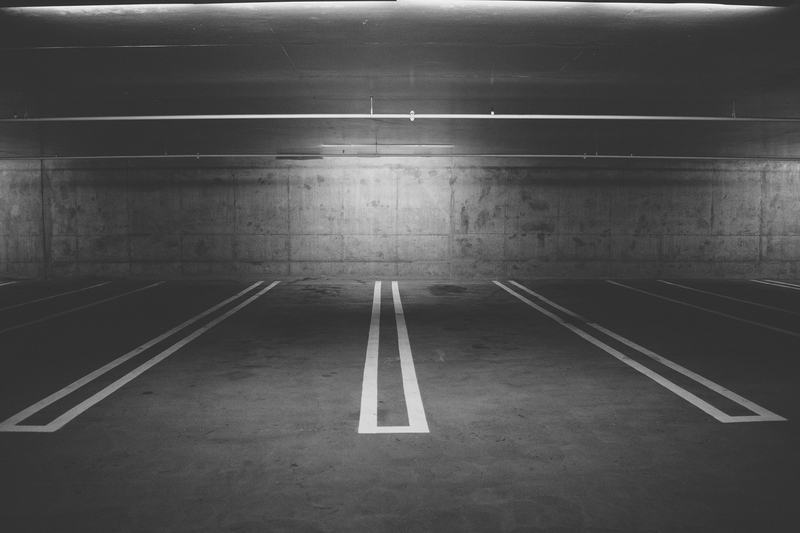 There are now 2 parking regulations for affordable housing – the state’s and the local entity’s. Just because the state passed this doesn’t mean the local regulation went away. It only seems like one regulation now but in practice, the local planners are still going to use the local regulation until forced to make the change. Anyway, the legislation passed and was signed into law. So we all get see how this shakes up. My real concern is that the state keeps passing laws to take away local control of land use. That will cause real problems in the future. I think is why the League of Cities objected to this legislation – it’s a slippery slope once people realize they can get the state to intervene when they can’t get the local entity to do what they want. My other thought is that if you really want more affordable housing, CEQA needs to be reformed. That law has turned into a cudgel to go after so many developments including affordable housing projects. The goal of the law and its actual impacts are now so far divorced, it’s time to reform it and get it to do what it was intended to do. *The state is limiting regulations. *There’s more of a mishmash when every city imposes its own regulation, not when the state imposes a uniform one. That’s one of the prime arguments for EU regulations (although it’s less compelling if the higher body passes more regulations than the local bodies – not the case here). 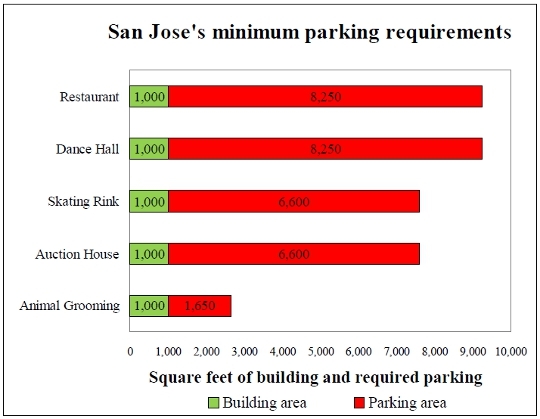 Parking requirements are a bad policy everywhere. They exist to address a real problem, to an extent, but there are better solutions. This regulation forces cities to adopt those better solutions. If cities had to pay for the regulation they imposed, they’d never have passed the regulation. The League objected that the law could backfire, and lead to development getting blocked entirely. I’d concede this is a possibility, but a rare one. Projects either would’ve gotten axed or wouldn’t have, the marginal parking spaces will rarely be the dealbreaker. The League of Cities opposed the measure because it takes a land use regulation out of the cities purview and replaces it with a state requirement. I think all land use regulations such as parking requirements should remain in the hands of the local entity (city or county) and the state should just put together the goals for the entire state such as requiring local areas to build more affordable housing. The local areas would then figure out how to comply with the goal. The way things have been trending, the State is setting more and more of the regulations and that is leading to a mishmash of regulations. It used to be a developer could just talk to the city/county to determine what the regulations are in order to build at a particular site. Now, developers have a growing list of conflicting requirements that the state is passing. It’s making a mess. Now that this door has been opened, I think we will all see more and more regulations that the State will be imposing. It’s going to lead to more and more conflict with the local population who used to assume that their city/county gets to make the decisions on what gets built. So even though I fully support the goals of this legislation, it is the wrong way to do it. The right way is to get each city/county to amend their rules to lower the parking required. It is definitely a slower process but that is preferable than the state passing rules that might not work in particular locations all around the state. There is just no way for a state as large as California to draft rules that work in all situations across the state. That’s why land use regulations have almost always been left to the local entity – land use has so many impacts that only the local entity know how to best implement them. Oh yeah, that’s gonna turn out well. People will be a lot more willing to allow affordable housing in their neighborhood when they know it’s going to be crowded up with unwashed 1990’s Pontiacs with the bumpers hanging off and such. The League doesn’t want to change the status quo. They care more about the threat of spillover parking than they do about affordable housing. Great news. It seems like most of the progressive planning in this state is driven by the state government. Ha is LA a small city? These minimums are lower than LA’s I believe. Why did the league of cities oppose it? I’d like to think that in their heart, they know parking requirements are bad, and this law ties their hands and prevents them from placating the entitled. Or they just don’t want to change the status quo.